Ecuador has many active volcanoes. 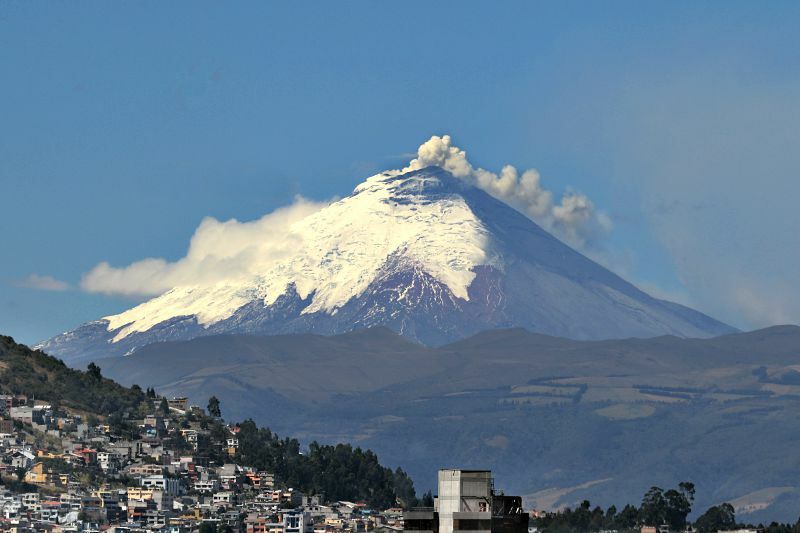 During the time we've lived in Ecuador, the Tungurahua, Guagua Pichincha, and (now) Cotopaxi volcanoes have all threatened to erupt at different times. The situation right now with the Cotopaxi Volcano is threatening some 325,000 people who live near the volcano and/or in the path of the lahar flows that could result from a huge eruption. The volcano has sent quite a lot of smoke and ash into the air over the last month or so. Emergency drills are being run in the areas most at risk and about 400 people have been evacuated. The waiting game is the hardest part. An large eruption would allow the large city of Latacunga only about 30 minutes to evacuate and new reports have said that only a small part of the population has been participating in the drills and there is fear that people won't be ready. Where we live in Tena, we aren't in a danger zone, but some have said that the heat wave and no rain we've been experiencing is due to the volcano. Just ten minutes from us along the Napo River, people are in danger. The river (which originates from Cotopaxi) could rise up to 20 meters above normal and destroy entire towns and many homes along the river. In the last few days things seem to have calmed down a bit, but that could be a bad thing. We've seen before how quickly people start to disregard warnings. Some have said it would be better for the volcano to go and get it over with, because the longer this drags on the less prepared people will be. For now we can only wait and be prepared for anything. It's happened to me...you really want to watch a TV show from home, but you get this message: "Not Available in Your Region" :( So you have to hope you can find it on YouTube or somewhere else. There is a solution and thankfully someone more electronically inclined than me wrote the article explaining how to watch your favorite programs in Ecuador. Check it out if you've also had this problem! As promised, I've put together a list of my favorite websites about Ecuador. Some are for before you move. Others are helpful for those of you who are already living here. Check it out and feel free to share your favorite spot for information in the comments. 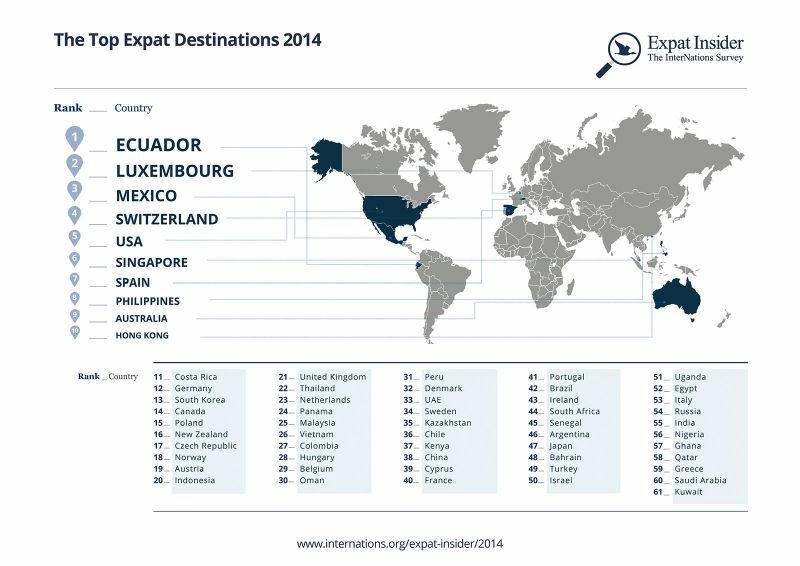 If you have a blog about Ecuador, please fill out our Ecuador Expat Interview and I will gladly add a link to your blog! 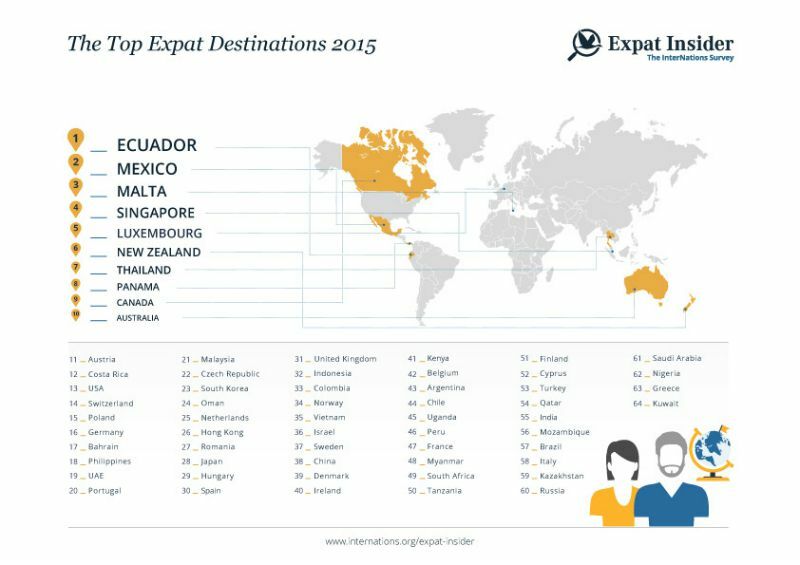 According to a poll taken by InterNations, Ecuador continues to be a leading destination for expats. Their survey took into account several important factors and it's interesting to read how the top countries where chosen. Recently, we've noticed that many things are going up in price here in Ecuador. Food. Rent. Bus and taxi fares. I suppose it was bound to happen eventually. However, you can still live quite cheaply. One place you can see the extreme difference in price versus the US is in haircuts. After a mini-poll on Facebook, I found out that I would pay on average $30 for a haircut back home!! I just had my hair cut last week here in Tena and it cost (drum roll please) $2.50. A haircut for a kid costs $2.